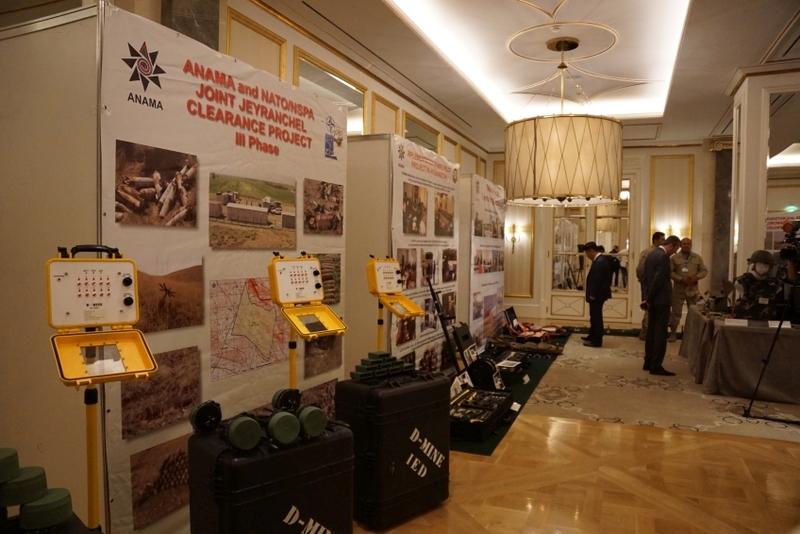 The Azerbaijan National Agency for Mine Action (ANAMA) organized an official ceremony dedicated to the closing ceremony of the joint ANAMA-NATO/NSPA Partnership for Peace Trust Fund Project “Clearance of mines and unexploded ordinances in Jeyranchel”. 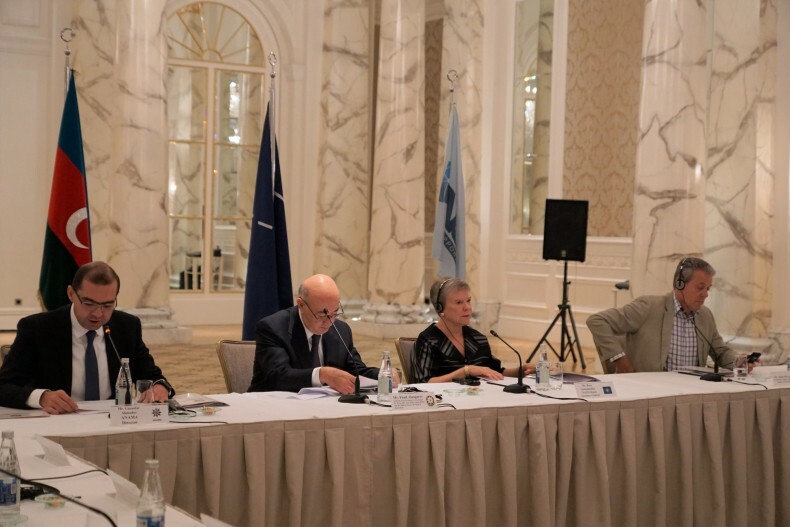 This momentous occasion took place in Four Seasons Hotel on September 20, 2018 with the participation of the Assistant to the President of Azerbaijan for Work with Law Enforcement Bodies and the Military Issues, the Head of department Mr. Fuad Alasgarov, NATO Deputy Secretary General Ms. Rose Gottemoeller and Deputy Director Support to Operations at NSPA, Mr. Allan McLeod, official representatives from NATO and NSPA, Ambassadors of Diplomatic Missions to Azerbaijan, as well as high governmental officials from Azerbaijan Government. The former Soviet Army military test and training area, known as Jeyranchel, covers an area of approximately 64 sq km along the Azerbaijan/Georgia border. The Jeyranchel live firing range was in active use over the period 1955-1991. 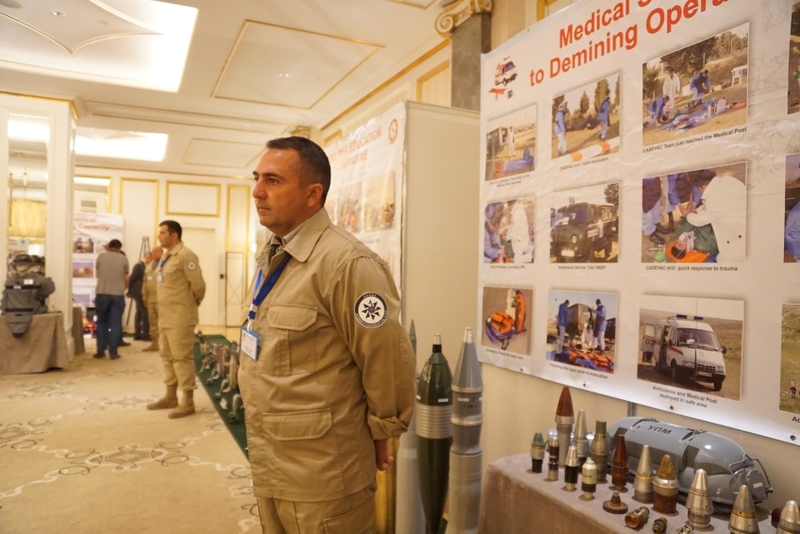 Within the I Phase of the Project during 28 months (April 2012 – July 2014) of clearance work 19 sq km of the territory has been cleared and 14,654 unexploded ordnance and 173 anti-tank mines have been found and destroyed. Phase II started on 8th July 2014 and continued for 29 months of clearance work. Within the II phase of the project 25.361.396 sq. m. has been cleared and 1 553 mines and UXOs have been found and destroyed. Phase III started in January 2017 and continued for 18 months. Within the III phase of the project 22 mln. sq.m of the territory has been cleared and 2146 mines and UXOs have been found and destroyed. United States of America and Turkey confirmed with its dedication as the Lead Nation for this project. Nations contributed to the Jeyranchel Project: Germany, Hungary, Iceland, Italy, Japan, Norway, Switzerland, United Kingdom, United States and Turkey. The Government of Azerbaijan being deeply concerned with this situation and considering the importance of this project for the country contributed 50% of the total budget of the project. 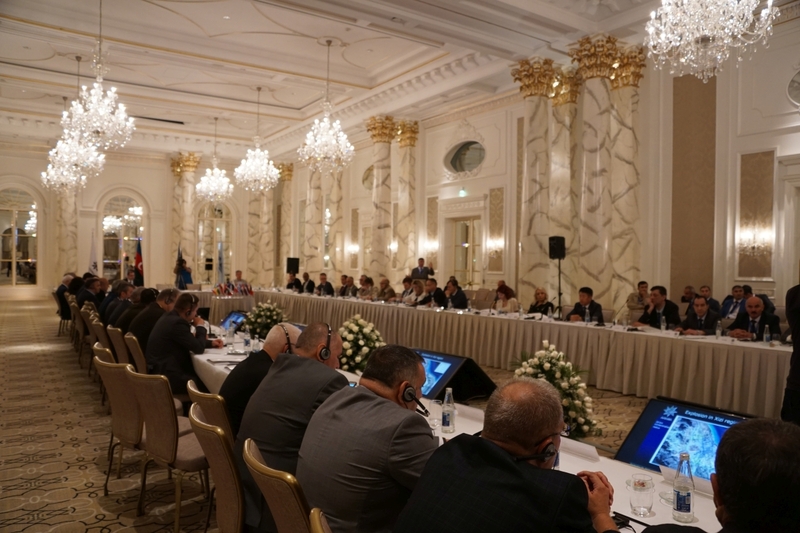 ANAMA Director Mr. Gazanfar Ahmadov made an opening speech about the the scope of the UXO problem and emphasized high significance of the project launched within NATO PfP Trust Fund Program. He also expressed his heartfelt gratitude to all the contributing Nations that supported the successful completion of the Project. 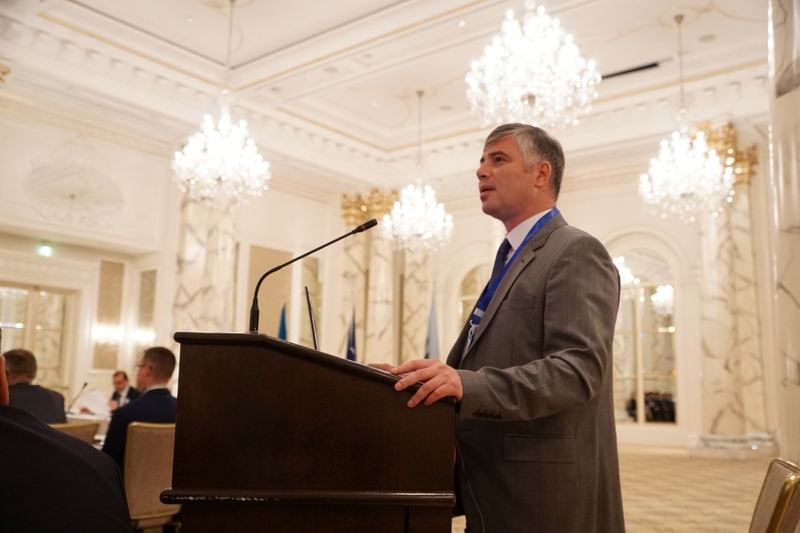 On behalf of the Government of Azerbaijan the Assistant to the President of Azerbaijan for Work with Law Enforcement Bodies and the Military Issues, the Head of department Mr. Fuad Alasgarov congratulated all contributed Nations, especially NATO officials with the important achievement. He mentioned: “The clearance of territories is a humanist mission and those who carry out this honorable mission often risk their lives and health. 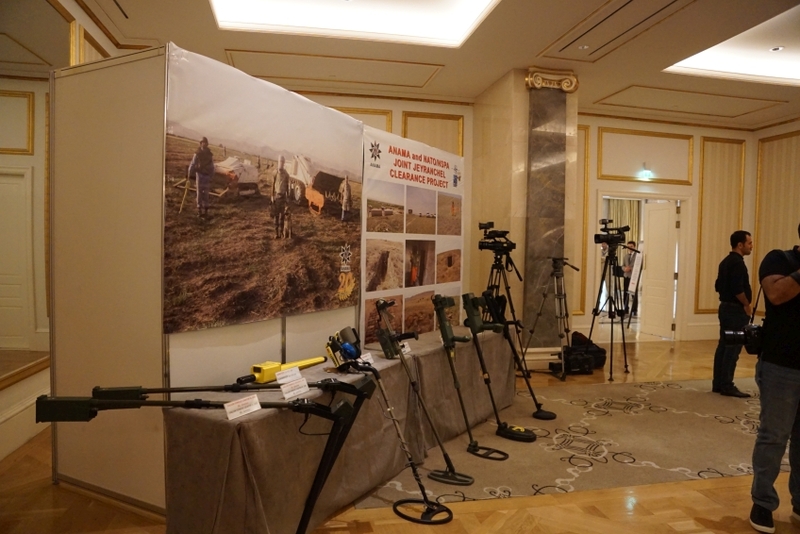 20 percent of Azerbaijan territory is under the occupation by the Armenian Armed Forces, so the mine clearance activities have an important role for Azerbaijan. Therefore Government of Azerbaijan pays a special attention to the strengthening of its capacity. I’m sure that ANAMA’s bilateral cooperation with foreign partners, including NATO relevant structures will successfully continue in further”. 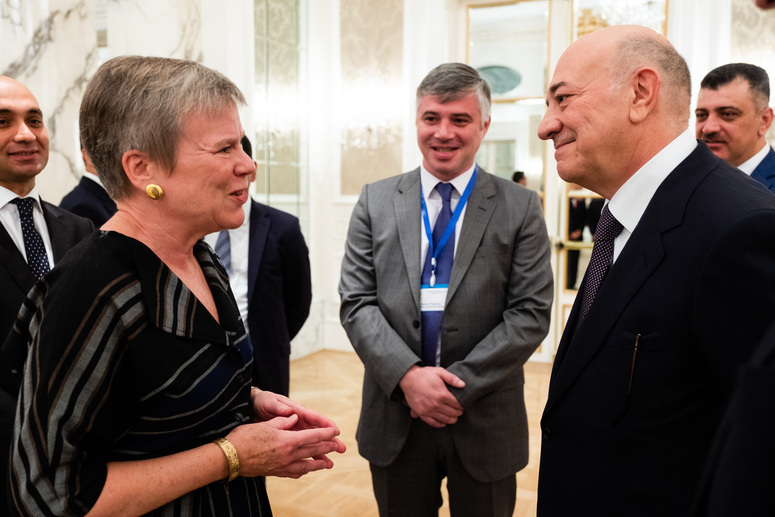 Deputy Secretary General Ms. Rose Gottemoeller expressed her gratitude to the Government of Azerbaijan for the successful implementation of the project. She underlined the ANAMA’s successful participation in international projects, and NATO is ready to further cooperation with Azerbaijan in this sphere. Deputy Director Support to Operations at NSPA, Mr. Allan McLeod noted the importance of the project and emphasized that ANAMA is already a regional expert in this sphere. Mr. Samir Poladov, ANAMA OPs Manager has delivered presentation reflecting details and background of the ANAMA-NATO/NSPA joint project - Clearance of Mines and Unexploded Ordnances in Azerbaijan. The guests acquainted with the training equipment organized by TSQA Division and Mine Risk Education corner set by MRE Department.